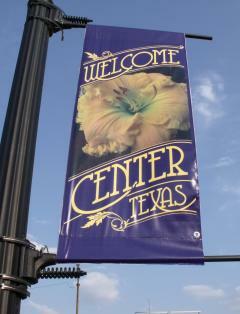 The City of Center is engaging in a community banner program. The City uses hotel occupancy tax revenues to fund the purchase of decorative banners to be placed in the downtown area and in corridors leading to downtown. The banners are on a rotation basis.